On the subject of future features arriving in the next few years, Schiller declines to provide specifics, but suggests "I think machine learning -- as in, systems and software that will enable more ability to help anticipate what someone wants to do -- will be of value." I’ve been a huge fan of GarageBand since the beginning, having used all kinds of poorly crafted recording software from other companies all the way back when I had my 840 AV. The transition to iOS has made it possible for me to lay down ideas, beats and melodies good enough to send to desktop for finessing and then release and the really great thing is that there are apps for compression, EQ and other high-end functions available in the App Store that are making the trip to desktop less and less of a requirement. My absolute favorite software. For a musician it’s a fantastic way to get ideas recorded quickly - and the guitar effects sound pretty darn good. I wish I had this in my younger years instead of my MIDI connected Commkdore 64! Even non musicians can use the pre-recorded loops. Truly a great creative tool. The Apple/Emagic union was one of the most synergistic moves in the course of music tech. Plain and simple. Reminds me of NeXTs Ensemble. Do you use Logic as well? If not, you would probably really enjoy it. You don’t need that last word. As for the notion of “machine learning” in the “what’s coming in the future” commentary from Schiller, well, it certainly does make him appear to be the marketing executive. AI is the flavor of the moment, so this comment from him is not any kind of valuable insight, or even a worthwhile statement to bother making. AI gets mentioned constantly, for everything, and it really means nothing. Certainly not what people think it means. There is no “machine learning”, and there is no “artificial intelligence”. We don’t even know how intelligence works for things that actually have it (such as animals). At best, we’ve determined it may be an emergent property of millions of small systems. We can replicate unpredictable behavior accidentally with things like Windows. Yes, the OS. Every computer I’ve ever used with Windows has a level of unpredictability that makes it very easy to anthropomorphize into an antagonistic “intelligence” that wants to create impotent rage. Even its developers don’t know what the hell makes the many thousands of things that go wrong with it. It isn’t worth anyone’s time to figure it out, because they want to move on to the next sale or support call ASAP. Reinstall to fix every problem without figuring out what the actual cause is. In this way, we’ve succeeded in creating a seemingly living organism in one way: thousands of interacting systems creating emergent properties not originally intended. I can’t wait until the AI thing stops being the flash in the pan media darling and developer fad, just like I long for the day when the flat design fad is an embarrassing memory. Basically, remember when everyone harped on about “virtual reality” in the 90s? Same thing. Even that hasn’t gotten into any type of mainstream success, and it may never. The reach exceeds the grasp, both technically and financially for the people expected to buy the half-assed demo tech that comes along. Maybe these are all steps along the path to better things, but maybe they’re also pathological. While we are exploring things, it would be really nice if people could use language accurately and not behave as though the current fad is the universal panacea or ultimate answer to every need. Until it demonstrates actual awareness and intelligence, just call it what it is: statistics and cleverly written algorithms (that don’t always have predictable results, especially when no one wants to perfect the software before pushing it out on the market and working on the next product that will also not refine the design or correct the existing bugs... as we have right now with the systems that give us touch keyboards and autocorrect. It’s like one person wrote the thing, left the company, and no one else is motivated to continue the work. Half-assed is great when it first hits the market and people are amazed at what it can do. Give it ten years of not improving from there and we start to realize just how poor its actual results are for a good percentage of time (especially when we improve our own speed and the software behavior does not scale up to meet us). 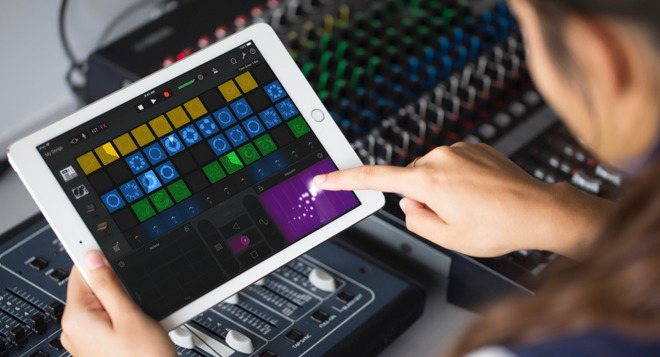 I use Garage Band simply as an audio editor for which it works quite well and has a better UI than most other editing software out there, especially the free apps. I do find the EQ and Limiting functions a bit limiting (sic) and confusing at times. It's not always clear whether it's applying those functions to an individual track or a master track, whether it's "active" (in spite of the "lights" on the virtual panels) and whether it's actually having an effect. But for editing, it's great. 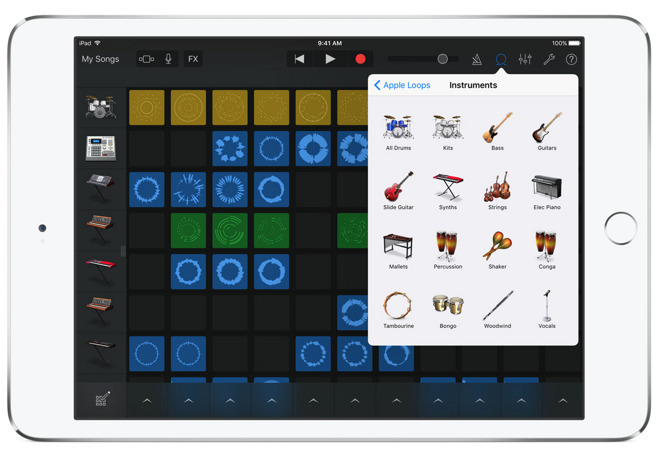 There are a number of features and functions I’d like to see migrate to GarageBand (building highly customized drum kits for one would be fantastic), but the times I’ve used Logic in the past I found it was just a step too far and too complex for my needs. When I get too bogged down in the minutia of production, versus actually laying down music I will stop using that tool. GarageBand has that balance almost perfect. One could approach it from the perspective of just hitting “record” and playing or one could use it to really dive into some serious details to finesse, manipulate and engineer something unique. And I’ve had no problems with recordings where I’ve had 30 or more tracks (if there are many MIDI tracks, yes it can cause havoc with my computers... hopefully these new iMacs will be able to handle my files).